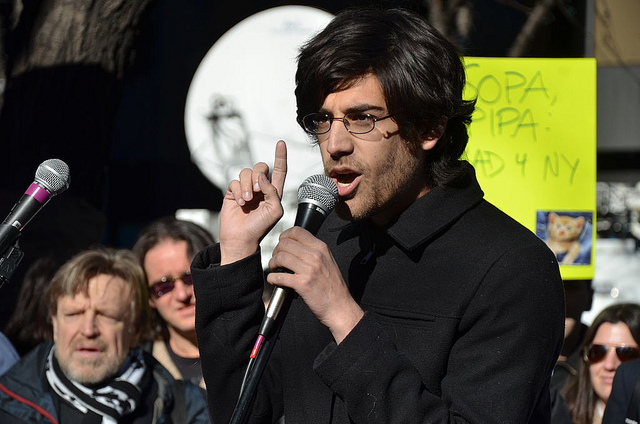 In the wake of Aaron Swartz’s death, the focus is now being shifted to the prosecutor, who some say acted over zealously in his pursuit to punish Swartz to the fullest extent for a relatively minor crime. As it turns out, this is not the first time an Internet activist has taken his own life while being aggressively pursued by the same prosecutor. Back in 2008, Jonathan James took his own life after his home was raided by authorities on suspicion of his involvement in the TJX Hacker case, which is regarded as one of the biggest identity hacks in history. James maintained his innocence and left a suicide note saying that he believed the justice system is broken and will prosecute him nonetheless. Like Swartz, James was also faced with prosecutor Stephen Heymann. According to Swartz’s lawyer, Elliot Peters, Heymann refused to negotiate on the terms of a plea deal and would not settle for anything less than the maximum 30-year jail sentence. Swartz hung himself in his apartment and was discovered by his girlfriend. It is believed that depression combined with the looming trial pushed him to the brink. Heymann refused to compromise even though JSTOR, the online academic journal database that Swartz hacked into, decided not to move forward with charges against the Internet activist. Peters claims that Heymann intended on using Swartz as a stepping stone to elevate his own career and in order to add cybercrimes prosecution into his portfolio. In the aftermath of Swartz’s death, Heymann has filed to drop the charges, which is routine practice when the defendant passes away before the trial begins. Petitions are now swirling around the Internet demanding the firing of Heymann. Supporters claim that Heymann acted way too aggressively against Swartz for what was a victimless and non-violent crime.